let us create your appealing, long-lasting and customized concept. don't know how to solve it? Let us develop your custom-made concept. You would like to know how that works? Since 1997 the ratioSystems® team helps customers solving their packaging problems by developing case concepts for different applications in many industrial sectors and trades. Feel free to use our expert knowledge for your own packaging project - whether you need a standard solution or a completely new idea. In 3 steps - consultation, development, realization - we are going to create your perfect packaging solution. In cooperation with our customers we develop customized and flexible case solutions. Their main goal is protecting the customer's products as well as increasing their value. In all this we see safetyBag® not merely as a product brand but as a value proposition comprising quality, service and reliability aspects. … at the fields of consultation, development and realization. Our dedicated and amiable team exhibits a vast knowledge concerning cases and case concepts as well as long-time experience with a lot of products across various trades. Choosing from a singularly wide range of plastic and aluminum cases we are able to provide packaging for all kinds of customer goods from playing cards to surgical navigation instruments. Alternatively we are able to offer a variety of additional products such as membrane or cardboard items. During all 3 steps - consultation, development, realization - we stay focused on our customer's needs and wishes. Face-to-face contact, e.g. a local sales call or an individual service is a main point of our brand philosophy. safetyBag® intends to offer customers a double benefit. On one hand their products receive a protective wrapping as well as a high-quality appearance. Damages caused by transport or storage are minimized or prevented. Goods are arranged neatly and attractively and thus increase in value. On the other hand our customers are welcome to entirely turn over their packaging projects to us while gaining time and resources to dedicate themselves to their own core business areas. 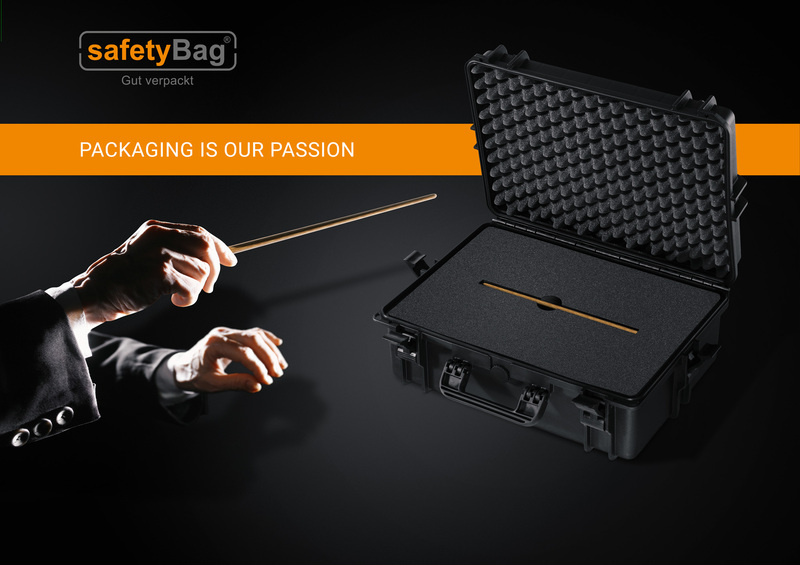 Today the product range is divided between the two brands safetyBag® (plastic cases and customized packaging solutions) and windowSafe® (sealing gaskets and profiles with emphasis on cell rubber products and extruded polyethylene profiles).